Ginkgo is a tall growing, reliable, deciduous tree that will grow in all but the southernmost United States. It is an excellent tree for northern climates due to its cold hardiness, which allows it to survive even the harshest winters. 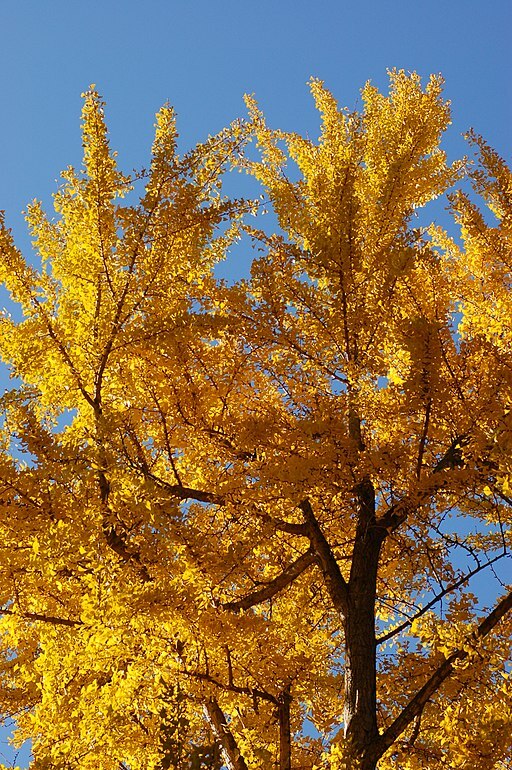 The standard Ginkgo can get up to 80 feet high, with varieties such as Autumn Gold reaching 50 feet. Even at the lower height it makes a spectacular specimen tree, if the planting space is adequate to support it. Ginkgo is a terrific tree for a long term investment, but one should not count on it to grow to its full size rapidly. But it will repay you many times over by giving you years and years of life. The Ginkgo is marked by its 2 inch fan shaped leaves, which will turn a gorgeous golden yellow in the fall. It doesn’t produce noticeable flowers, but they aren’t necessary given the beauty that is produced in the turning of its leaves. This tree grows in almost any condition, and will do well in most any soil. It requires a fair amount of water until it gets established, and then generally only during dry periods. There is a requirement of full sun, and soil that is not too compacted. It is recommended that a male species, such as Autumn Gold, be purchased so as to eliminate the production of a foul smelling fruit. This tree will make a great showpiece for any garden large enough to grow it. It will also make a good privacy tree, or a wind break.